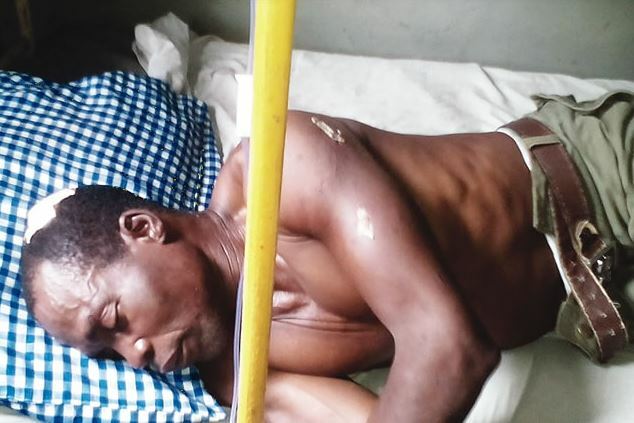 A bricklayer, Adeleke Oyadara, has been tortured to death in Kujore, Iwelepe, in the Sagamu area of Ogun State, after he was accused of robbery. PUNCH Metro learnt that a businesswoman, identified only as Bolanle, had claimed that she was robbed by the deceased on September 10. Bolanle, around 8pm of the next day, was alleged to have gone to Adeleke’s house with some hoodlums. They were said to have descended on the 50-year-old and beaten him to a pulp before putting him in a truck they brought. Our correspondent learnt that on the way, the group was intercepted by some vigilance group members, who took the case to the Sagamu Police Division. The victim was said to have been referred to a hospital, and died a few weeks later. The victim’s wife, Toyin, said her husband was taken away from the house around 8pm on September 11. She said, “On that day, a man knocked on our door around 8pm. Suddenly, a woman, who had hid behind him, emerged, and held my husband by the waist. “She claimed that my husband robbed her in a cab the previous day. My husband denied it and my attempt to explain that my husband was with me throughout that day fell on deaf ears. One of the victim’s children, Emmanuel, said he reported at the Sagamu Police Division, adding that he was writing his report when the group brought his father to the station. “The police referred us to a hospital for treatment,” he added. Emmanuel said his father was admitted at the hospital for about a month before he was taken back home due to the hospital bills, which the family could not afford. 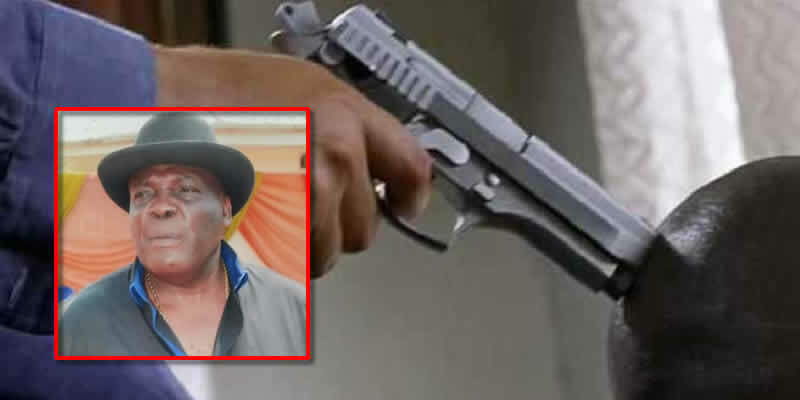 The son said he was later taken to the Olabisi Onabanjo University Teaching Hospital. “While on admission, the woman wrote a petition to the State Criminal Investigation and Intelligence Department, Eleweran. The policemen there demanded that we brought my father from the hospital because they thought he was pretending. “He was at the SCIID when he collapsed and we took him back to the hospital. He died on Saturday, October 15,” he added. Our correspondent learnt that the police had arrested one of the hoodlums that carried out the attack on the victim, while the woman was said to be on the run. The family said it had already briefed its lawyer, one Moses Bamgbelu. “We want the government and Nigerians to help us. We want justice. My dad told me before he died that he had never seen those people in his life. The police also said their investigation showed that my father didn’t commit the offence. He was a bricklayer,” Emmanuel said. The Police Public Relations Officer, Abimbola Oyeyemi, said it was a case of suspected robbery turned murder. He said, “From the information available to us, the victim was a cab driver and he was taking the woman to a place. He overheard her discussing about a N1m contract on the telephone. So, he thought she had that money on her. “He drove into a bush and threatened her with pliers. He searched her bag and found N50,000, which he took and fled. “The woman raised the alarm and people gathered around her. She told them what happened and described the cab. Those people traced it to the man’s house where he was found and beaten. He was rescued by the police. “The case was reported as robbery and was transferred to the SCIID. The man was taken to a hospital for treatment. Unfortunately, he died. It has now become a murder case. The woman’s lawyer has been shielding her from arrest, but investigation is ongoing into the case. Where I Get My Healing Power From – TB Joshua Reveals. Cristiano Ronaldo Caught Urinating In The Street, See What Police Did To Him….